You are sure to find exactly what you're looking for at Harmony Blinds. With a huge range of fabrics, endless customisation options and a team of design experts, we really do go the extra mile to achieve customer satisfaction. If you're looking to freshen up your kitchen, or inject some colour in to your living room, we are confident that we can help. Most of your conservatory heat loss in the winter is through the roof, and in the summer, the roof allows too much unwanted heat to fill the room. 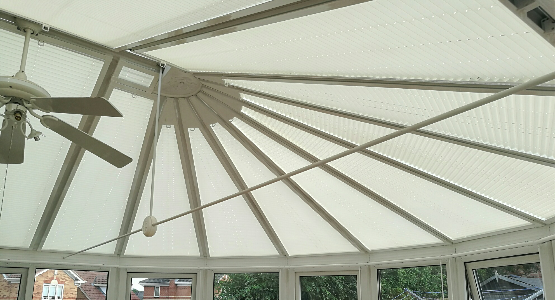 Pleated Roof blinds are the perfect addition to your conservatory roof, as they can be shaped to fit almost any skylight window, giving you climate control and also providing welcome savings on your energy bills. 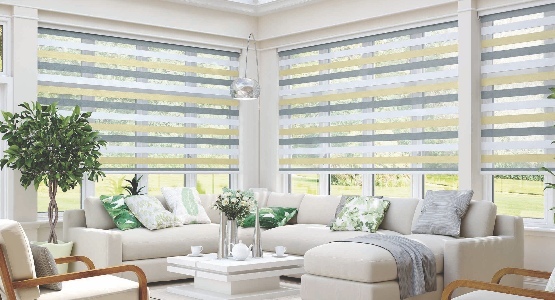 Whilst any blinds are suitable for most conservatories, some come with more benefits than others. Book an appointment with our advisors to learn more about the different benefits that come from our blinds range. Choose from special performance fabrics which can reduce energy bills, prevent unwanted glare and look great all at the same time.